If you’re a teacher that is embracing more modern music teaching in your studio, you’re probably finding that your recitals are becoming more and more filled with pop music! Depending on the nature of your traditional recitals, you might like to consider whether running a dedicated recital/concert just for your pop music students would be valuable. 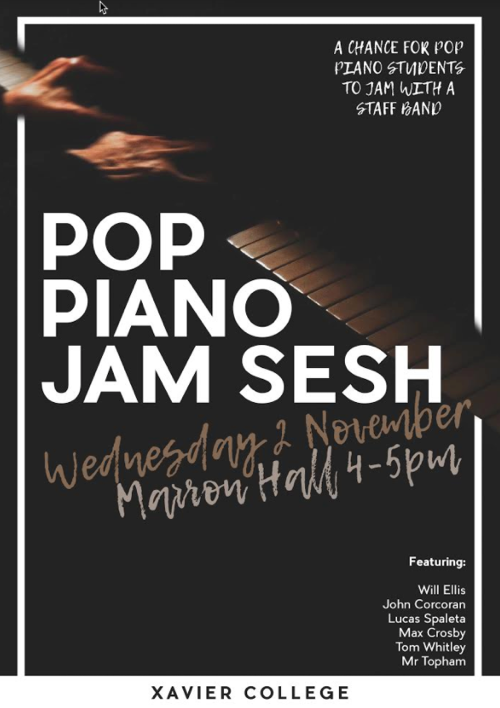 After seeing Kristin Yost’s presentation about modern recitals at NCKP 2015 and then interviewing her for my podcast, I decided to run my own “Pop Piano Jam” at Xavier College last year. This was a chance for all the boys who’d been learning some kind of pop song to play along with a rhythm section and show off their skills in a relaxed and contemporary environment. We all agreed that it was AWESOME FUN: the students had a great experience and it really didn’t take all that much extra work. Here’s a quick look at our Pop Piano Jam 2016. Please note that while you could go to lots of trouble with professional lighting and staging, I decided for my first one to keep things simple, as I’ll describe below. 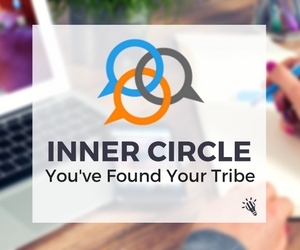 And go through a checklist of what you need to do to get your first event off the ground. You’ll get to see my students in rehearsal and I’ll even let you listen to my own performance of The Way it Is by Bruce Hornsby at the end. Ready to get started? Here is a step-by-step process that will help you put on a fantastic Pop Piano Recital that you, your students and the audience will enjoy. The first thing to understand is the key differences between a Pop Piano Recital and a traditional piano recital. Firstly, in case you’re wondering, it’s the students who choose what to play for this event. They really need to own the music and be passionate about performing it. They have to love it or this won’t work. If you’ve been exploring a number of pop songs through the year, then you can choose one song that the student loves the most. If you haven’t really explored much pop in your studio, then this is a great chance to ask the student what they’d like to perform. I personally don’t force my students to play in any recitals and I’d be particularly cautious of making the Pop Piano Recital compulsory because you’re likely to always have students who don’t really enjoy pop. However, I remember Kristen Yost explaining that all the students in her music school study pop throughout the year, so participation in her Pop Showcase is expected. I’ll leave this decision up to you. You can always start with something small and voluntary (as I did) and see how it goes. Next, let’s talk about your event name. Choosing the right name for your event is crucial. A catchy name can excite your students, and will, of course, urge people to buy tickets and attend. For the purposes of this article, I’ve called it a Pop Piano Recital, but please don’t do this in your studio! I called it a “Jam Sesh” (ie. Session) to give it a feeling that it was still a work in progress (which is was!). Kristin Yost suggests “Pop Showcase”. You might like “Pop Concert”. Whatever suits you and your students. You could even ask them! The “Pop Piano Jam Sesh” poster for our concert. Whatever you do, try and call it something other than a recital because you want everyone to know that this is going to be something different, fun and enjoyable. Once you’ve sorted out the name of your event, the next thing to consider is the Rhythm Section. So you’ve got your pianists, you’ve organised an event name, how should you structure your rhythm section? The key to an amazing Pop Piano Recital is the quality of your rhythm section. While budgets may make you think about using other students for this role, I’d avoid it. Try and aim for professional musicians or teachers. “Session Musicians” are perfect because they are professional musicians who are used to being asked to play anything on the spot and are great at going with the vibe, following your students’ tempi and making things sound amazing. There is a cost factor involved in hiring session musicians. Depending on your area, they may charge anything from $100 – $150 or more. Alternatively, you may like to use other teachers in the rhythm section. You might be able to do some kind of contra deal with another music studio or perhaps you already work in a school or studio where other instruments are taught. Be open to ideas. You’ll need a drummer and bass player as a minimum. Get a guitarist if you can. A good guitarist with effect pedals can play just about anything! The guitarist I used in my concert was the guitar teacher at the school and he could replicate the sounds of keyboards, strings, synths and just about anything. Amazing. You want a rhythm section who knows the music and can play it first time, who can follow your pianist (even when they make mistakes or get lost) and make everything sound like the original recording. Firstly, use your own contacts. Many of us work in the industry and know other teachers and performers so use those contacts first. I was lucky in that I already taught at a school and so had access to the drum, guitar and bass teachers for my rhythm section. Other great places to start finding a rhythm section are local studios that teach guitar, drums, etc. – they’ll have teachers who might be able to play for you. Modern churches often have bands of good musicians who are likely to be supportive of the cause and not charge too much. Also, consider local bands – it’s great to have a group of players who are used to playing with each other. Ask around – you never know which of your friends or extended family know people who play other instruments or know people who do. What Music Do You Give the Rhythm Section? The simplest thing to offer the Rhythm Section musicians to read is a Chord Chart with lyrics. This allows them to follow where the pianist is at, particularly if they are singing. Even if your student isn’t singing, this is enough for a good musician to understand the form and outline of the chords in order to create an arrangement for their instrument. OK, so you’ve got your band organised, what’s next? One of the most important factors to consider is how you’ll prepare students for playing with a band as this is the main difference for the students. Firstly, decide whether your student will sing and play or just play the music. I strongly encourage you to encourage your students to sing, but both work as you’ll have seen in the first video. 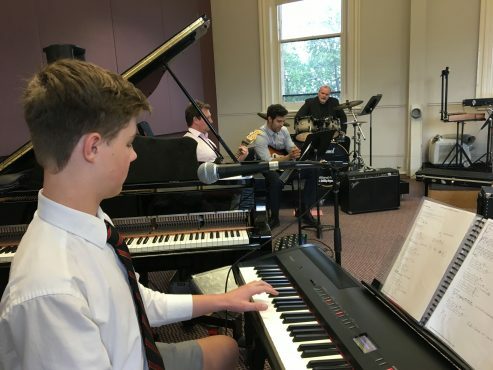 One of my students, Will, was really cautious at first about singing as he’d never done it before, however with a little persuasion and singing with me, he totally owned the singing role and gave a great performance of Piano Man. It’s important to decide whether students will be singing early on as it will change the way in which they will play and the music they’ll need to access. Keep in mind that if you know of a singer who could be involved and is prepared to sing the music the students have prepared, this could also be considered. Perhaps the student has a friend or family member who could sing along with them? If a singer is involved, the pianist will take the role of accompanist, generally playing chords in the RH and bass line in the LH as Will is doing in the above video. If the student is playing the melodic content, then they will be playing in more of a solo style. I’m personally a huge believer in the power of encouraging piano students to sing, as it opens up a whole world of new possibilities for them. Singing improves their aural ability and, let’s face it, it’s much easier to sing a pop melody than to play it, right?! Now that you know what your student is playing and/or singing, let’s have a quick look at your music options. If the student is accompanying themselves or another person singing, then all they need is a Chord Chart. Related: What’s the difference between a Chord Chart and a Lead Sheet? As Ultimate Guitar has become more commercial and started charging for some levels of access, you might find the free options available from e-Chords handy. If the student is going to be playing the melodic content of the song, then my first preference is for them to learn to play this by ear. Students who are keen to play pop may well have done this already. It’s good to have a reference of the song from a site like MusicNotes.com, whichever way they want to learn it. This will give them both the musical riffs, structure and melodic ideas and extra copies can be downloaded for the rhythm section if you choose. Musicnotes also allows transposition (but keep in mind the other instruments if you want to transpose – guitarists won’t enjoying playing in Gb major!) and gives students the chord symbols, so they can use it like a Lead Sheet. Find out how to teach Lead Sheets here. I’ll also share with you a free downloadable checklist for preparing and running your first Pop Piano Recital. Click here to read Part Two of this blog series. I really hope that you consider trying this out in your studio this year. The benefits for your students and studio will make all the effort worthwhile. Let me know if you’ve got any questions on Part One by leaving a comment below.